The people who fall in the category of Achievers are usually motivated by the desire for achievement. They are successful, goal oriented people who focus on and are deeply committed to their career and their family. They are politically conservative and respect authority and status quo. They prefer harmony, obviousness and stability as they are risk prone, lack the urge for self-discovery. Brand image is the most attractive feature and they favour established, prestige products. The reason that could justify their liking towards the established brand would be the lack of time. Mercedes Gleitze, 1st woman to swim across the English Channel in 1927; wore the Rolex watch Oyster for 14 hours and 15 minutes while was swimming in the English Channel. Still was in perfect condition; was showing accurate time. The two paragraphs: Achievers and Mercedes with Rolex watch. What is ‘The Connect’ between the two? Achievers, they want to associate themselves to the brands that have earned and achieved its name, its image, its brand. Rolex is one of the best examples in this segment. It has proved way back in 1927 or by attaching the watch to the submarine; double the pressure that deep sea divers experience. 1908, Hans Wilsdorf and Alfred Davis started era of Rolex. Easy pronunciation, short enough to figure on the dial of the watch. It is a luxury brand of watches, Swiss watches. In 1910 Rolex obtained in Switzerland the first official chronometer certification to a wristwatch. Hans Wilsdorf used the event (Mercedes Gleitze; 1st woman to swim across English Channel) for the advertisement and called it the ‘Wonder Watch that Defies the Elements’. 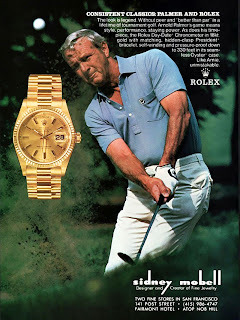 With this Rolex started the testimonial advertisement and continuously associated themselves with the most extreme achievements (Sir Edmund Hillary, Tenzing Norgay and Jacques Picard). After the death of Hans Wilsdorf in 1960, a private trust was created. This insured that the company will never be sold, hence the board of directors would not have to worry about distributing the dividend to their shareholders instead they reinvested for the betterment and improvement of the company in the various fields, to name few, distribution, after sales services, research and development and promotion. They, therefore, focus on long term achievements and develop strategy accordingly. 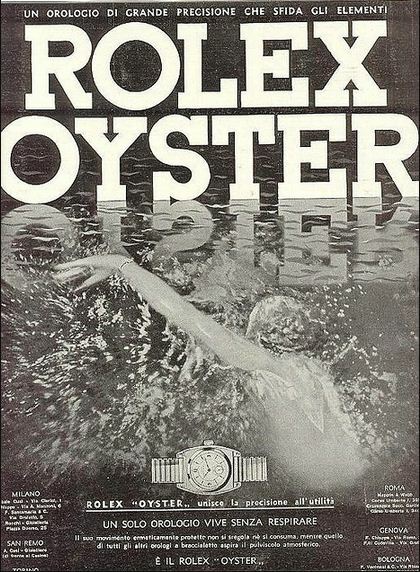 Rolex was 71st on the list of 100 most powerful brands by Business Week in 2007. Product – Rolex is a Swiss Luxury Watch brand with various models like Explorer, Submariner and Cosmograph. The Rolex watches are known for the accuracy, highest satisfying quality and limited designs. They were the first ones to get the certification for the wristwatches. Price – The Rolex watches maintain has the functional benefit of accurate time teller and benefits of possession of having the luxury product and therefore they are towards the higher end on the scale of price. “Pilot” range start at £5250 whereas Diamond studded watches cost more. The Rolex limited edition watches are even more expensive. 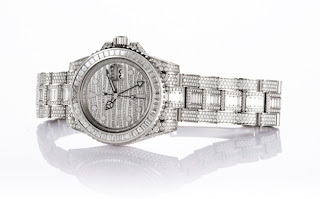 They have produced the costliest watch ever ‘the GMT Ice’ £485,350. Place – Rolex is preferred by its customers globally, who remain loyal to this brand. They follow a rigorous channel selection method for selling its watches. In major cities Rolex has its own retail outlets. In India they also sell through Multi Brand Outlets line Shopper’s Stop. Promotion – Rolex has smaller but loyal customer base and therefore it is very important for them to reach and communication to their target customers effectively. Rolex has its own brand image and they rely heavily on this factor for attracting customers. It invests heavily on brand ambassadors, like Roger Federer, to increase its brand value and in turn attract more customers. 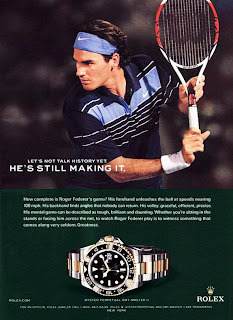 If Rolex follows the traditional advertising channels they will hinder their own image severely. They cannot afford to invest in traditional advertising channels. To earn enough sales and keep the company profitable it is essential for the company to have an aggressive marketing strategy. They follow a slow but sure way of customer development through brand building. Through subtle imagery of a premium, aspirational product worn by high achievers, Rolex has carved for itself a niche in the customer’s mindshare. Conservatism and tradition are the two credos of the Rolex’s strategy: same product and same communication in the last few decades. The company has been able to gain sustainable advantage over the years owing to its unique communication strategy and differentiation. The brand has always personified achievement and has kept nurturing this ‘myth’ on account of successful celebrity endorsement. It also maintains a part of mystery around its brand in order to cultivate the legend. For a long time, it has been considered a male watch, but lately they began efforts for women to like it too. Another important theme of the strategy has been the backward vertical integration. This helped them to secure future supply. Finally, going into the untapped potential of emerging markets has been on their agenda. The current marketing communication strategy features two distinctive categories of advertising as shown in the figure. 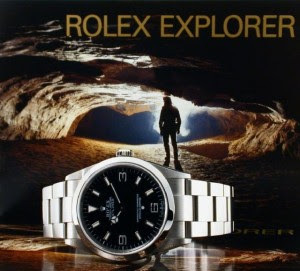 The communication strategy of Rolex is very elaborated and specific. The key points of their strategy rely on the use of sponsorship and particularly celebrity endorsement and the emphasis on being a mysterious brand. As mentioned above testimonial advertising has been main key to their communication strategy from a very early stage. Even though the strategy has evolved but the association of a successful personality to the brand is still the heart of the communication. Earlier the task of the ambassador was to provide a testimony to the robustness of the brand. But today product functionality has become an order qualifier from being an order winner before. Now the link between the ambassador and the product is a lot more subtle. Rolex tries to exalt individual success choosing strong personalities, representing their time and their discipline. From dance choreographer Maurice Béjart, ice skater Peggy Fleming, photographer Helmut Newton, opera singer Placido Domingo and golf player Arnold Palmer to the explorer Sir Edmond Hillary, Rolex has always chosen the best people of their category to represent them. In line with the idea of a long term strategy, Rolex uses a selective marketing strategy which goal is to target very directly the desired customer. They do not use artists that are “hot in the moment” to have periodically picks of sales linked to the use of the superstar. On the contrary, the chosen celebrities have a sustainable character. In fact, Rolex ambassadors are famous only in “niche” activities like golf, equestrian and sailing just to name a few and are unlikely to provoke demonstration because most of the time they are unknown by the general public. Therefore, Rolex is the incarnation of success, accomplishment and going beyond one’s limits. It is definitely the watch people buy when they have achieved something in their life. The design of the watch went through so minor changes that it is recognizable at first sight and most people could identify a Rolex very easily. At the same time, they will assume the person wearing it is an achiever and that he/she can afford it to buy a Rolex watch. 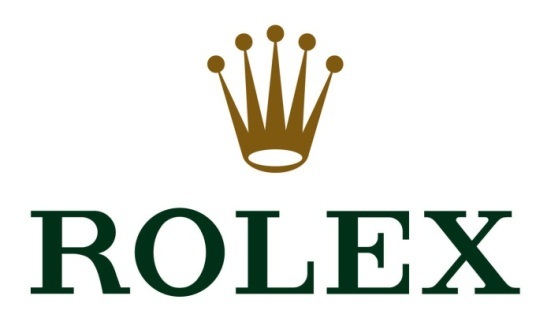 Rolex has a very large range of communication themes, among them dance, equestrian, exploration, golf, racing, sailing, tennis, jazz, opera and classical music. What is more, Rolex is robustly involved in philanthropy: it is the initiator of a mentoring program, the Rolex Mentor and Protégé Arts Initiative, launched in 2002 as well as the Rolex Awards for Enterprises launched in 1978. “Mystery opens up emotion. Mystery adds to the complexity of relationships and experiences. It lies in the stories, metaphors, and iconic characters that give a relationship its texture. Mystery is a key part of creating loyalty beyond reason.” (Kevin Roberts, CEO worldwide Saatchi & Saatchi, The future beyond brands: love marks). Thanks to the lack of financial information about the company, the particular status that the brand enjoys and their communication strategy, Rolex without doubt is one of the most mysterious brands in the world. And this mystery adds to the charisma of the brand. This is not only the watch of collectors but also of the speculators. In fact, the model is introduced with extreme frugality on the market; the difficulty in finding one adds a lot to its status. The beginning of this passion can be tracked back in the 1970s when Paul Newmann was wearing it in the movie "Winnings" where he was a race car driver. Now, the models are very demanded and can be bought in a jewellery store and resold right away with up to 20% added value. Roles wanted to move away from the identity of being a “male’ watch, and the opportunity of increasing their presence on the female segment is identified. However, the company still seems having troubles implementing it and attracting woman. 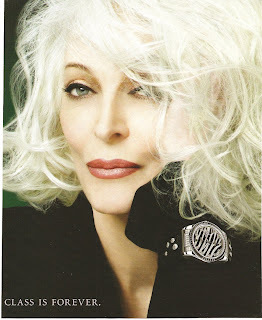 In the end of 2004, Rolex has presented new pictures of some of its woman ambassadors in its advertisements. The pictures still presents the celebrity in her environment (golf, etc) but the picture look a lot more glamorous now. Finally, mechanical watches were usually designed for male with the idea that “women do not understand technology anyway” and that quartz watch with a nice design were more appropriate for them. This tendency is slowly changing and women also want to buy technological timepieces. Therefore, Rolex cancelled all the quartz movement in the Oyster feminine line the next year. This was a very innovative move compared to its competitors. With the strategy of backward integration, Rolex confirms that it is true watch making group that privilege the total control of all aspects linked to the quality of its product instead of the development of a multi brand portfolio. Rolex SA Geneva owned by Wilsdorf foundation and Rolex Bienne produced movements exclusively for Rolex SA Geneva, were the two different entities. Rolex SA decided to buy Rolex Bienne so that it’s provisioning of movements. Rolex is a watch company but has established itself more than just a time checker. Elegance, celebrity and class are the few words that can be associated with this brand- Rolex. It represents the hi-class fashion and the spirit of achievement. Rolex is WIMBLEDON. Rolex is THE MASTERS GOLF TOURNAMENT. Rolex is LE MANS. It has come first in a list of UK’s top consumer brands for the first time in its history.